Our local Ashbourne Accommodation Group has a large selection of Derbyshire Holiday Cottages ranging from those sleeping from 2 up to 40+. Whether you like country cottages full of character and charm, cosy log cabins, large farmhouse accommodation, the outdoor life of caravans or camping then we can help. Our select group offers you the choice to stay in either town or country accommodation with a delicious breakfast included or self-catered with the freedom to do your own thing. All are located within the wonderful Derbyshire Dales or Peak District National Park, providing you with some of the most delightful Derbyshire Holiday Cottages around here. You may be holidaying with family and friends, celebrating that special birthday, planning your hen party or wedding celebrations, enjoying a walking holiday with friends or seeking a cottage which is disability or pet friendly, look no further we have accommodation that will meet your requirements and provide you with the quality you deserve. Derbyshire has many holiday cottages dotted around this amazing county and you are sure to find your perfect place. Owners will be delighted to have the opportunity to accommodate you and to offer you that special something that they choose to provide to make their property special. It may be a welcome pack, a homemade cake, a bottle of wine or the provision of luxury items such as hot tubs, saunas, games rooms, or just a warm and friendly welcome. They will be more than happy to answer your questions and provide you with information to help you plan your holiday or event. The ancient Peak District National Park, is our mini Scotland or Lake District and indeed rivals them in beauty. It is on a smaller scale but no less attractive, with magnificent heather covered moorlands and forested areas and a county steeped in history that has an incredible number of private or National Trust properties to explore. The need for a selection of quality Derbyshire Holiday Cottages in which to accommodate our tourism sector year after year has provided some amazing places in which to stay and to which we hope you will choose to return year after year.. 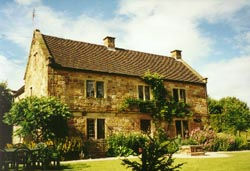 This entry was posted in News & Updates and tagged ashbourne accommodation, derbyshire holiday cottages. Bookmark the permalink.